You love the way your lawn, garden, yard and landscape look and you take a great deal of pride in all it has to offer. That is why it is painful to you when you notice something wrong with one or more of the trees on your property. There can be several things that cause problems for your trees – insects and pests, storm damage, weather, and age can all be factors- but it is what you do about the trees that can make a difference to your home and property. It is likely in your best interests to get the trees safely removed, and there are benefits of the tree removal in Hidden Hills we can provide for you at Your Way Tree Service, Inc. If you have a tree or several trees that are damaged but have not fallen, getting the trees removed is the safest thing you can do. Proper removal of the trees can help to keep them away from your home, your car, power lines or your neighbor’s property. If the damaged trees were to fall on their own, it could cause serious risk or injury to anyone or anything around them. Even trees that have become too big and are overgrown can cause safety issues for you, and you may want to have them removed to keep the area safe. When you have trees that are overgrown or damaged on your property, they can affect all of the landscape on your property. We at Your Way Tree Service Inc. can come in and perform tree removal in Hidden Hills for you to help you restore the look of your landscape. We can remove the trees that are causing the problems for you so that you do not have to worry about taking care of them, constantly cleaning the area or pests making a home in a downed tree, all of which can cause your property to look worse. 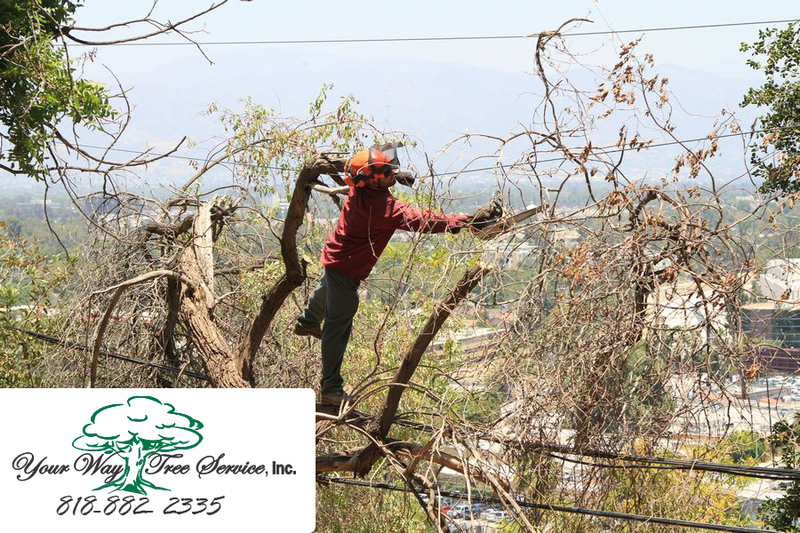 If you are in need of professional tree removal in Hidden Hills, then you want to contact us at Your Way Tree Services Inc. You can phone our office at 818-882-2335 to schedule an appointment with us for an evaluation of your trees. We can help you determine the best course of action so that you can have trees removed and keep your yard looking its best.